Dr. KathyLee Santangelo is certified by the American Board of Venous & Lymphatic Medicine. 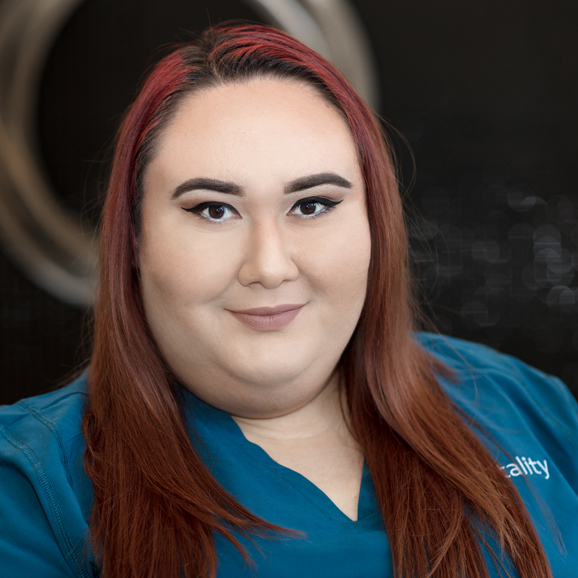 She has been in the exclusive practice of this specialty since 2009 when she opened Totality (formerly Total Vein Care Center) at Reno and Douglas in Midwest City. Dr. Santangelo had been a cardiothoracic surgeon in Oklahoma for 14 years previously. 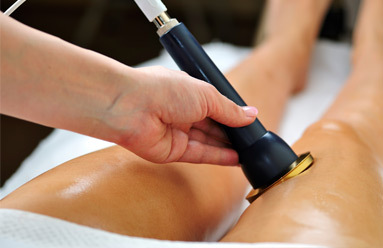 At Totality, she provides the highest quality care for patients with vein problems. 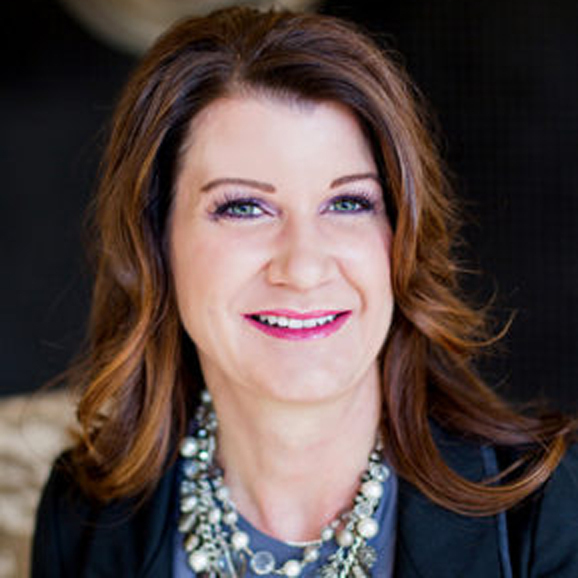 She has been named as one of the Journal Record’s 50 Women Making a Difference and has been an invited speaker at many community events including the American Heart Association’s Go Red for Women Luncheon and the Midwest City Chamber of Commerce’s Women’s Networking Luncheon. 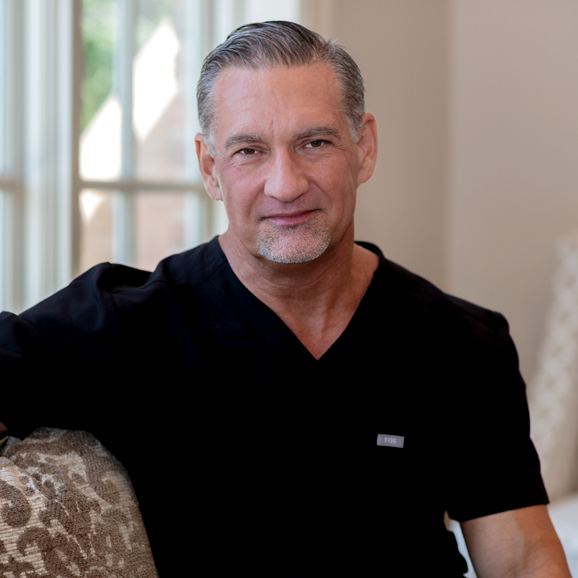 Dr. Santangelo is a native of Pennsylvania but has been in the Oklahoma City area for more than 20 years now. After graduating with honors from undergraduate and medical schools, Dr. Santangelo began her surgical training at the Pennsylvania State University in Hershey, Pennsylvania. She continued her surgical specialty training at the University of Oklahoma Health Sciences Center as a resident of Dr. Ronald Elkins. Dr. Santangelo spent her first years as a heart surgeon in Iowa but returned to Oklahoma with her young family in 1996 when she was appointed to the faculty at OU. She became the first woman Chief of Thoracic Surgery at the VAMC in Oklahoma City, a position she held until 2001 when started a private practice in heart and lung surgery in Midwest City. As a medical professional, Dr. Santangelo continued to acquire skills and expertise in multiple areas including wound care, therapeutic lifestyle change programs, and treatment of venous disease. 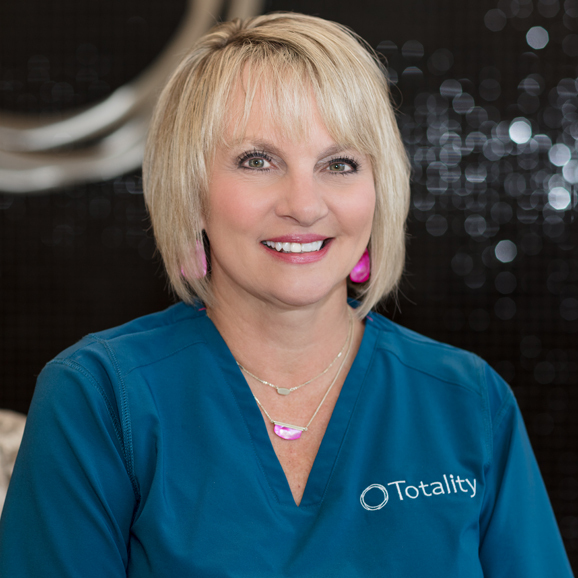 At Totality, she offers expertise for a variety of patients ranging from those who desire to rid themselves of unsightly leg veins to those who suffer with pain, swelling, or sores of their legs. Connie Fogarty grew up in Fort Wayne Indiana. She has been married for 30 years and has 2 grown children and a great son-in-law. She loves to travel, read, exercise and she loves the outdoors. Connie has many years of experience as a registered nurse. She has a history of care in Women’s health. Connie will be doing sclerotherapy, Botox and Juvéderm injections. 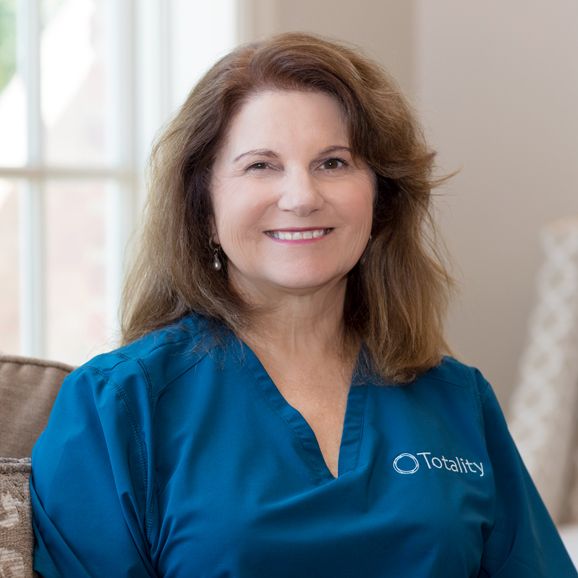 As an experienced aesthetician, Oteka Thomas offers unparalleled expertise in skincare, offering only the best to her clients. Oteka’s facial services include Customized Facials, Men’s Skin Treatments, Flaxx C Anti Aging Facials, V Neck Firming Masks, Colllagen treatments, and Chemical Peels. Oteka uses Bioelements Professional Skin Care products and pays special attention to each individual’s needs. The entire skin care line is paraben free, never uses synthetic color or fragrance and is never tested on animals. Oteka is also a certified NovaLash eyelash extension specialist. NovaLash eyelash extensions are an “instant pretty” for any woman who desires longer, fuller lashes. NovaLash eyelash extensions are meticulously applied lash-by-lash, bonded with award-winning medical-grade adhesives. They are weightless, wonderful and truly transforming. Oteka also offers brow and lash tinting and waxing with Nufree Nudesse products. Nufree Nudesse is the gold standard in hair removal and is carried by thousands of professional salons throughout the world. It was developed over 25 years ago to help plastic surgeons remove hair from a patient before surgery. Megan Lipscomb, LMT is a licensed massage therapist providing services to clients since 2016. Her training and therapy has helped many people relieve the pain of injuries, stress, body discomfort, as well as maintain good bodily and mental health. Megan has over 1200 hours of training and is proficient in every modality of massage that she practices. Megan strives to incorporate care and compassion with all of her clients by being an attentive listener to their needs. Megan prefers to create a custom massage for her clients based on their health needs by using a variety of modalities including Swedish, Deep Tissue, Myo-Fascial Release, Trigger Point and several others. She works the entire body and is sure to work any specific areas of concern. 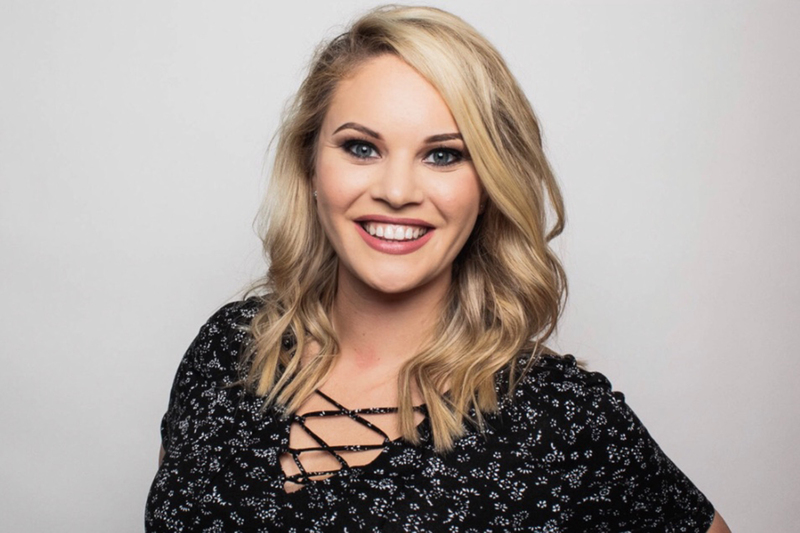 Megan’s mission is to support you in achieving your health goals and she is looking forward to meeting you and addressing your specific needs. Jasmine Cabrera is the bilingual MA in the office, she grew up in Pasadena, CA where she then moved to Moore, OK and has lived there for 13 years now. Jasmine loves anything that has to do with music and art therefore, she really enjoys musical theater and is active singing in the praise and worship team at her church. Jasmine is currently still in college at Southwestern Oklahoma State University majoring in Music and is pursuing her Bachelor’s Degree in Music Therapy: Vocal Primary with Instrumental Emphasis. Mackee Smith is an undergraduate student at the University of Oklahoma. She is studying anthropology and working towards attending medical school. She has hopes of practicing pediatric medicine. She has a heart for community service and loves to go on foreign mission trips with her church. She enjoys the outdoors, especially fishing, kayaking, and hiking. 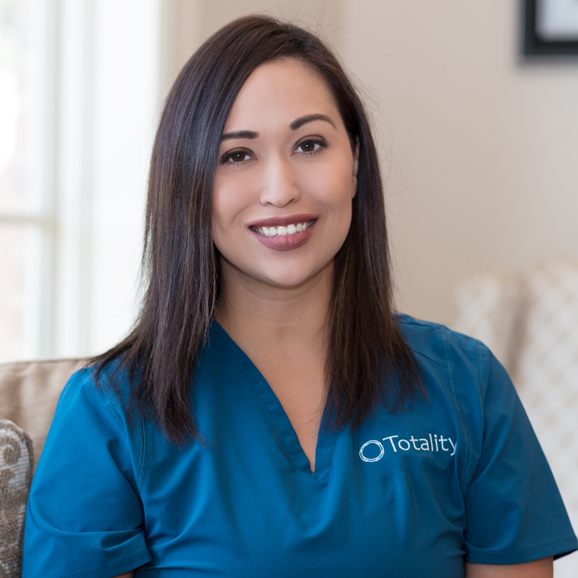 She has been on the Totality team for two years and is knowledgeable in the subject of medical insurances. 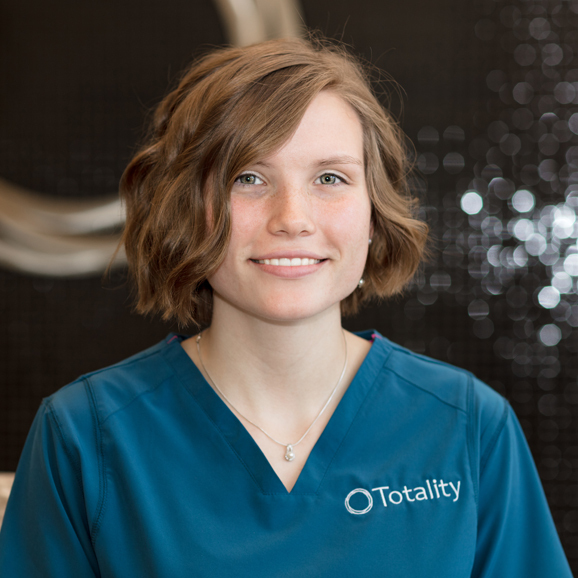 Allison Caporale is the Administrative Assistant at Totality. She is married and has a sassy little girl. Allison loves shopping, spending time with family and friends and traveling.